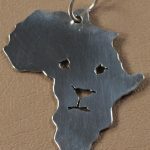 Sterling silver large Africa shaped outline pendant with no bale/ring so that it can hang and move freely on anything. 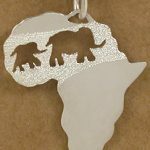 A large elegant shiny Africa outline silver pendant that hangs freely on any chain, cord or beaded necklace. 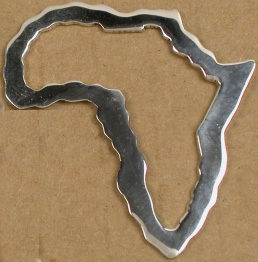 It creates a sense of motion, attracts attention without dominating. 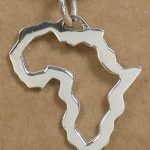 Handmade from Argentium 930 tarnish resistant sterling silver. each one a unique original.